My Bloody Valentine (1981). 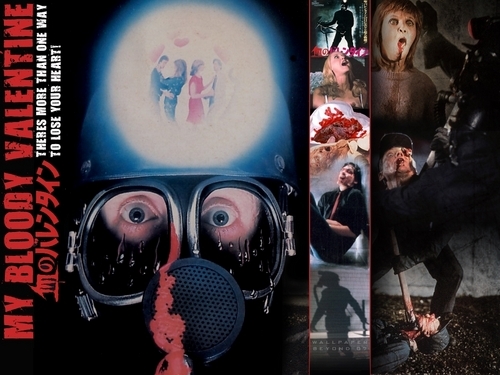 My Bloody Valentine: The good, classic and original!. HD Wallpaper and background images in the ভয়ের চলচ্চিত্র club tagged: slashers horror movies 80's my bloody valentine. This ভয়ের চলচ্চিত্র wallpaper contains gasmask, শ্বাসযন্ত্র, গ্যাস শিরস্ত্রাণ, respirator, and gas helmet.